Problem: outboard starts, then stalls a few seconds later. When the Evinrude 40HP E-TEC outboard motor stops running because of a malfunction or overload on the engine, it’s important to follow a specific set of procedures so as to trace and correct faults in its mechanical or electrical system. Follow these factory recommended procedures to determine why the boat motor stalls. It will help detect possible malfunctions with the motor’s electrical circuitry or machinery and the corrections needed to fix the stalling condition. Faulty wiring, loose connections, or bad grounds. Check all grounds are secure, connections are tight and corrosion free. Check for frayed, and cut wiring. Use a digital ohmmeter to test resistance on all connections and ground circuits. Digital ohmmeter measurements should be roughly 0.0 W.
Worn, fouled or incorrect spark plugs. Ensure the correct spark plug type is installed. Check plugs for a broken porcelain insulator and the center electrode is not worn. Insufficient alternator output (55 V). The 40HP E-TEC ignition system is powered by the 55 V system. Test the voltage on 55 V circuits. Use the Evinrude Diagnostics software monitor screen to check system voltage. Capacitor or 55 V circuit wiring. Use an ohmmeter set on high ohms scale to test the condition of the capacitor. Ensure the capacitor is discharged before testing. Discharge the capacitor by momentarily making a connection between the two terminals to ground any possible stored energy. A shorted capacitor will immediately show full continuity. If the capacitor has an open circuit, the ohmmeter will show no continuity. A compactor that’s working correctly will store energy from the meter. The reading increase will go up until infinity. Contaminated fuel. Check fuel and fuel filter for contamination, replace if necessary. Air in fuel system. Check for air in the fuel supply manifold. For more information, refer to vapor separator venting and fuel supply in the 2012-2015 Eninrude 40HP E-TEC repair manual. Insufficient fuel supply. Inspect the fuel system, fuel pick-up, primer bulb, and anti-siphon valve fore air leaks. Injector control function or electrical circuit. Check for proper voltage at injectors. Use the Evinrude Diagnostic software fuel injector static test to activate each injector. An audible click should be heard from each injector when actuated. If the injectors activate the injector circuits are not at fault. Leaking or restricted fuel injectors. Check and test injectors. EMM program, timing or operation. Inspect the EMM program and timing; monitor ignition primary outputs; check injector coefficients and monitor injector control wires. Erratic ignition output. Check ignition. Refer to 2012-2015 Evinrude 40 HP E-TEC repair guide electrical and ignition system analysis. Internal damage to powerhead. Inspect and repair parts as needed. 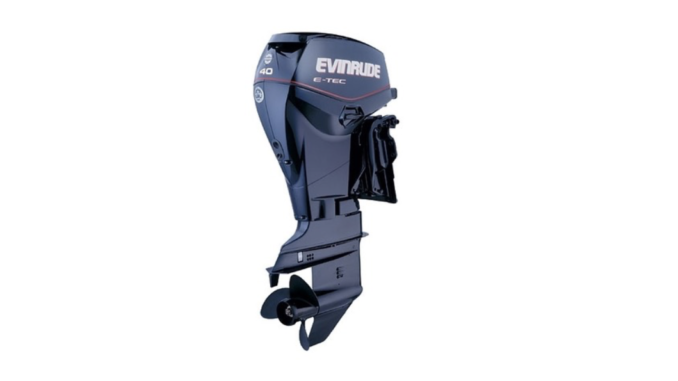 The information listed is specific to the Evinrude eTEC E-TEC 40 horsepower and 50 HP, 60 HP, 65 HP, 75 HP, 90 HP E-TEC outboard engine. Year 2012 2013 2014 2015.